Mazda suitcase made by Moncabas. The perfect equipment for the next trip. This suitcase fits perfectly in the trunk and can be used with the optional trunk lid carrier (NA1P-V4-730). 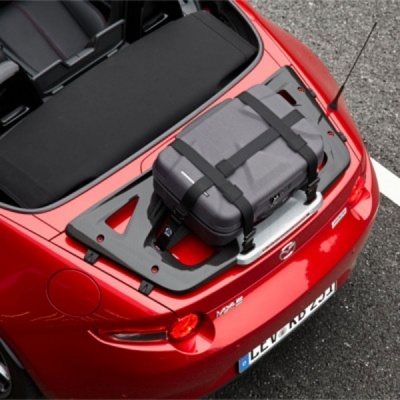 For the fixation at the trunk lid carrier, the set of luggage securing belts is additionally required (NA1P-V0-582).